The Olympics is only just around the corner now. After such a long journey to get here, including 10 years of campaigning the 49er together, it's an awesome feeling that in just under 30 days time we will be racing at the Olympics! We will have our best kit, be at our fittest and at the top of our game. All to try and win a medal for our country. It is a privilege to have this challenge ahead of us, to represent our country. Between now and then, there is lots of hard work left to do in order to be in the best possible position come the first race. 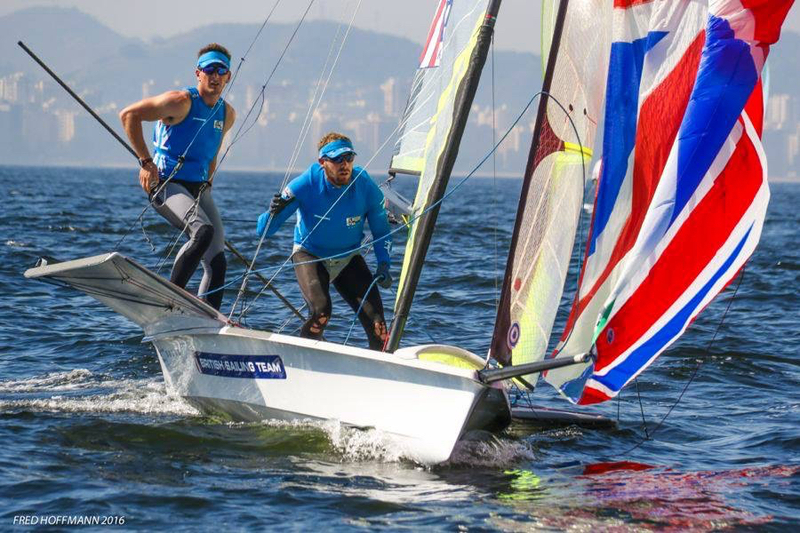 Right now we are in Rio testing our kit and more importantly, practicing our sailing on the waters of Guanabara Bay. The last few days we have been racing against all of our main rivals with some fairly informal racing. We have been super happy with how everything has been going in the run up to the Olympics. Our decision making had been as good as it gets and the boat is fast. There are still some tweaks needed and we made some silly errors over the 2 days racing, losing some big points. We are here to identify these weakness and improve them ahead of the games. Alongside the improvements on the water, we have also been working tirelessly off the ware to keep the boat in the best shape it can be. We have a large toolbox filled with Silverline tools out here in Rio, making it easy to manage and maintain the boat. Over the next few days we are going to continue racing against our main rivals, looking to improve on what we have learnt already and make gains. Then it's time for us to head home and have some down time before our final trip out here for the games on the 27th July, although racing doesn't start for us until the 12th so there is plenty of time to make those final gains. It's such an exciting time for us and we're enjoying every second.